Private, Quiet and Peaceful! 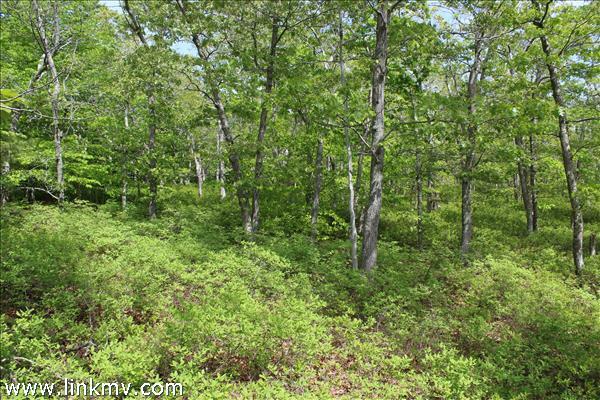 A rare 5.22 Acres in Katama! 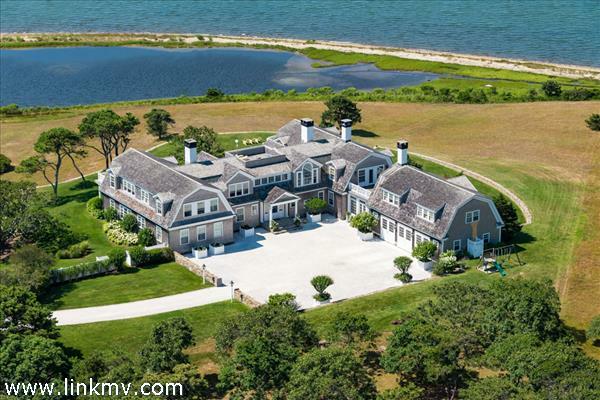 Options contain a custom Compound that may include a Main House, Detached Carriage House, Inground Pool, Tennis Court and Horse Barn. Your multi-generational compound in a remarkable location! Open concept Main House 3b/2.5ba, Two car garage with apartment 1b/1ba, with inground pool, well sited on a Private Road. 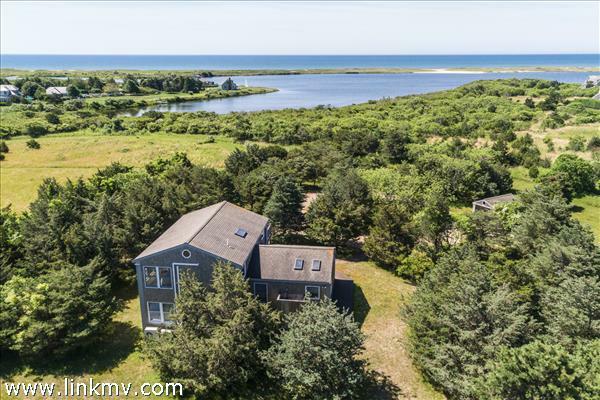 This property offers solitude with miles of trails and water access to the Edgartown Great Pond, South Beach and the Atlantic Ocean. Strolling distance to sand and surf. 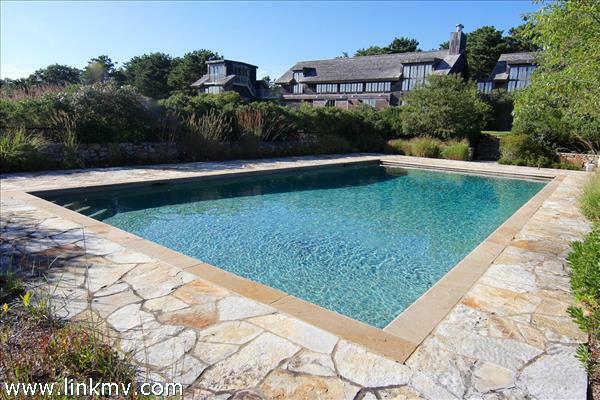 Listen to the ocean and relax by the inground pool. This is an incredible private atmosphere with MV star gazing at its finest! 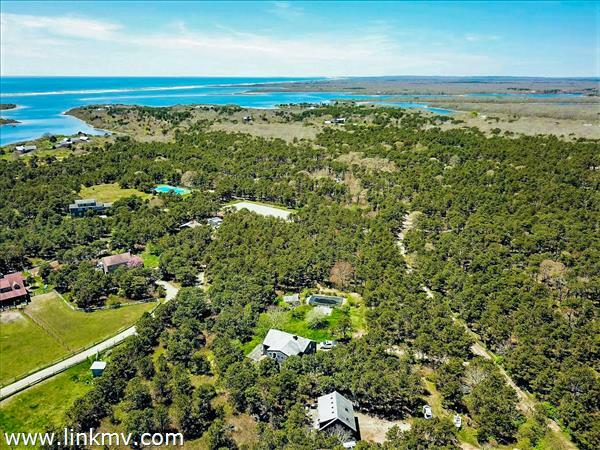 Island living with your own piece of paradise yet just moments to Downtown Edgartown, Harbor, Restaurants, Shops, South Beach and The Great Pond. 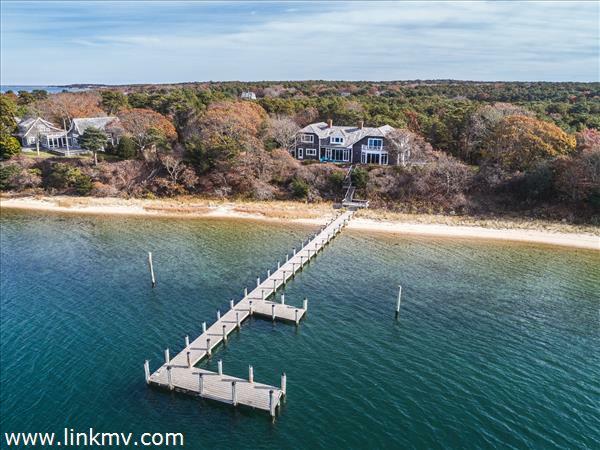 RARE FIND ON THE EDGARTOWN GREAT POND: OPEN VIEWS, PRIVATE DOCK, PRIVATE SOUTH SHORE BEACH AND ABILITY FOR SEVEN BEDROOMS. 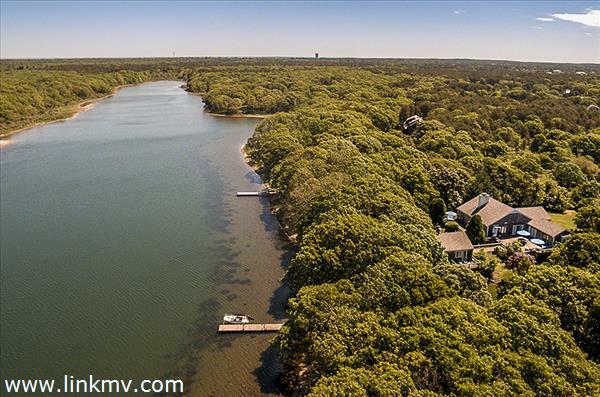 Located at the end of a private winding drive this spectacular 3.4-acre waterfront property is surrounded by a natural landscape of shady mature oaks, pines and maples, and a lush lawn that leads right up to the water's edge. Facing southwest with views across the pond, the site provides afternoons basked in warm golden light that softly turn into brilliant colored sunsets. 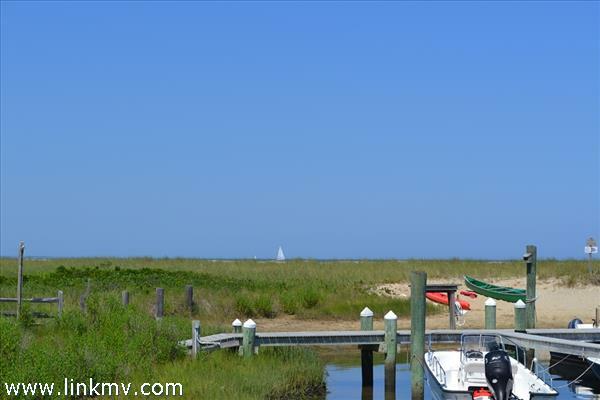 This property boasts a PRIVATE DOCK located on the Edgartown Great Pond, which is ideal for exploring by boat, kayak, canoe or paddle board There are only three docks on the entire Edgartown Great Pond -- so this is a very rare and valuable amenity. 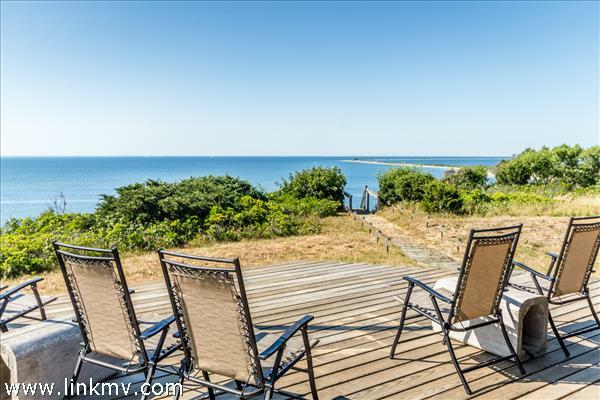 The property includes deeded access to a PRIVATE ASSOCIATION SOUTH SHORE BEACH which is accessible by boat and an ideal place perfect Vineyard summer days, sunset dinners by the beach and more. 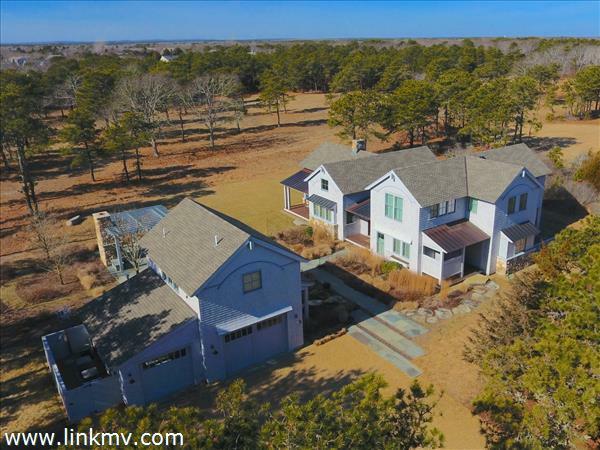 This attractive Katama property is grandfathered in to allow up to SEVEN BEDROOMS (current standards would typically only allow for a maximum of five bedrooms). 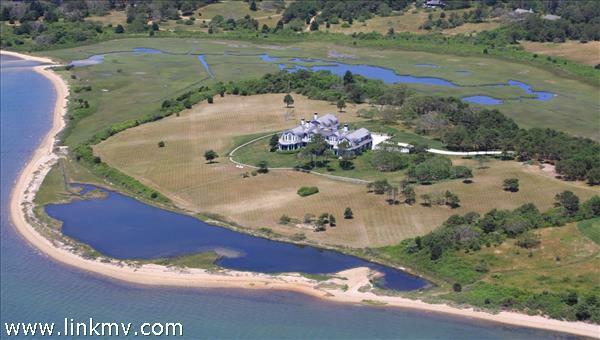 Bring your visions to crate a signature waterfront estate in Katama. There is currently a 4-Bedroom Main House plus 3-Bedroom Guest House on the property which would can be renovated or replaced with new homes. ***NOTE. 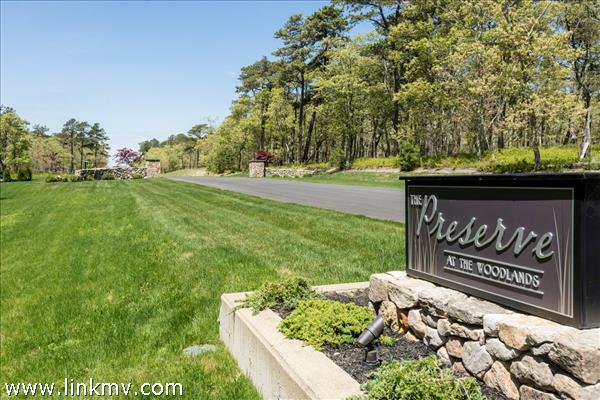 See video for a tour of this property and the private association beach. 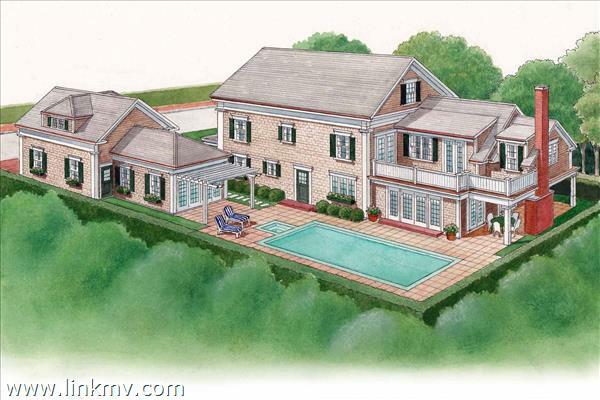 Attached schematic drawings by Breese Architects show proposed renovation concept for a 7-bedroom compound with pool and utilizing the existing structures. 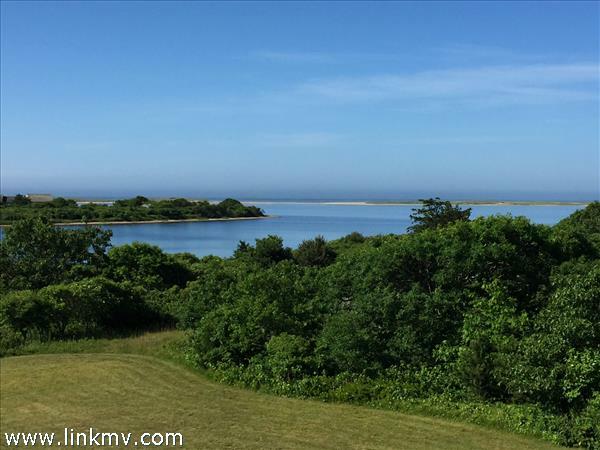 RARE FIND IN KATAMA: WATERFRONT COMPOUND WITH POND, DOCK AND PRIVATE BEACH ACCESS. 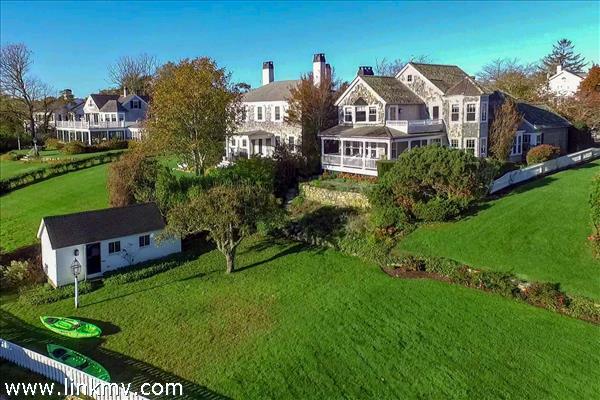 Located at the end of a private winding drive and set on over three bucolic acres, this spectacular waterfront property is comprised of a Main House plus Guest House -- with a total of SEVEN bedrooms -- making it an ideal family compound or rental property. 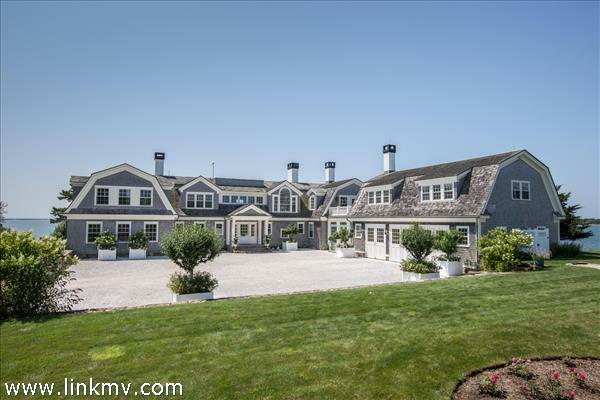 Both shingle-style contemporary homes feature open-designed living spaces highlighted by vaulted ceilings, an abundance of glass and expansive decks to maximize indoor and outdoor living. 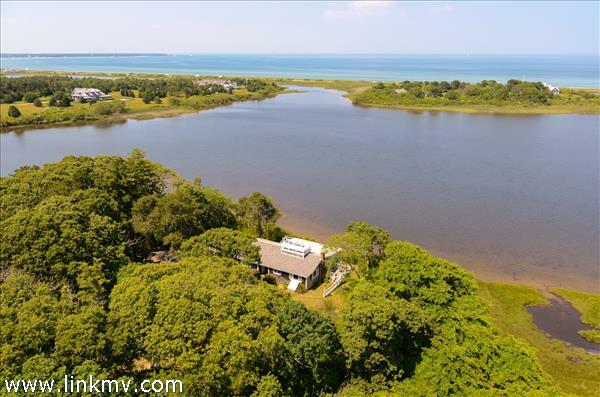 Surrounded by a natural landscape of shady mature oaks, pines and maples, and a lush lawn that leads to the water's edge, this property faces west across the Edgartown Great Pond, providing afternoons basked in warm golden light that softly turn into brilliant colored sunsets. 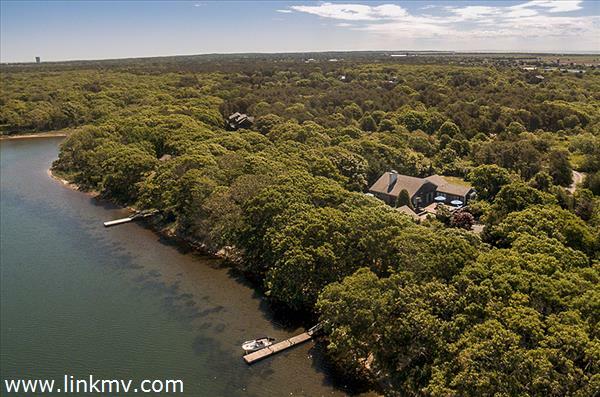 This property boasts one of the few RARE private docks located on the Edgartown Great Pond, which is ideal for exploring by boat, kayak, canoe or paddle board. Nearby Sheriff's Meadow conservation land offers beautiful walking trails -- and access to a private, sandy South Shore beach is also just minutes away by boat. This property is an ideal Vineyard retreat for creating lasting summer memories for years to come! There is also a strong rental history and furnishings are available for separate purchase. See video for a house and lifestyle tour of the property and private beach. Note: Attached schematic drawings by Breese Architects show proposed renovation concept for the property into 7-bedroom compound with pool and utilizing the existing structures. 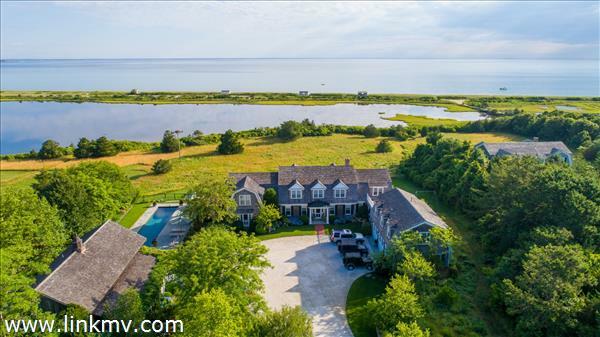 EXQUISITE WATERFRONT A rare offering on one of the most exquisite locations anywhere on the Edgartown Great Pond . Even ground level views look south down the pond to the barrier beach. 25 years establishing these 4 + acres, in a breath taking , but natural feel. 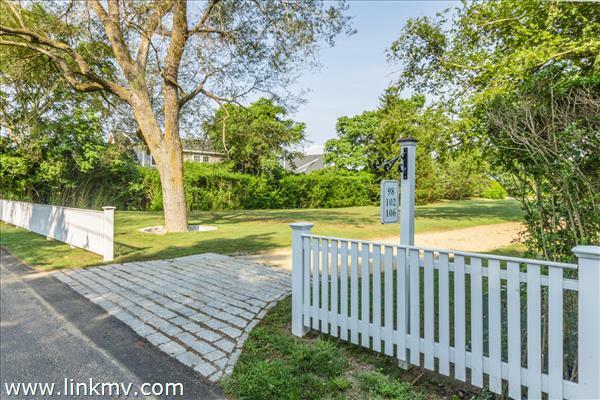 The 19th century structures have been impeccably maintained, and brought current , by this most caring owner who diligently maintained the charm of the original.There are several areas on the property that would be ideal for new construction, if desired by new owner. 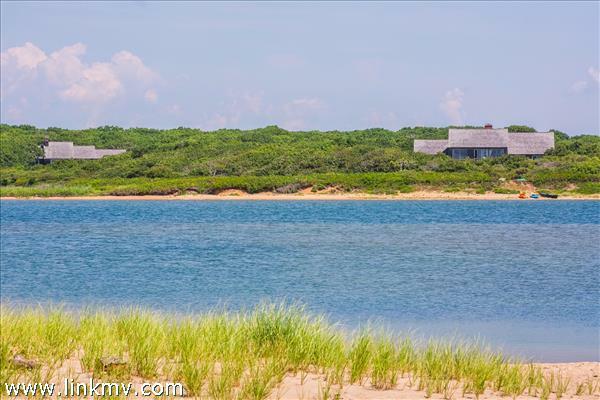 Hard to imagine but the vistas could be even more dramatic.Although it feels like another world, you are only a short boat ride to the Atlantic Ocean Beach and a mere bike ride to Main St. Edgartown.The expression , although over used, applies to this property. " You simply must see this to appreciate it`s uniqueness , it`s beauty, anda one of a kind value!! 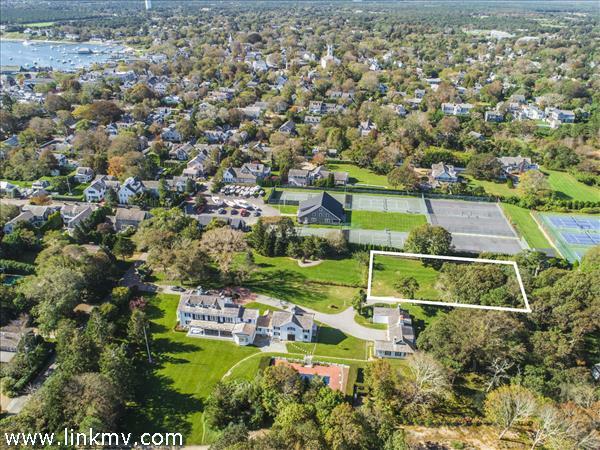 A rare opportunity to create the ultimate Edgartown Harbor front compound has become available at Green Hollow Way for the first time in over 50 years. The 2.5-acre parcel includes 3 dwellings, which combine for a total of 8 pre-existing bedrooms, offering complete planning flexibility. 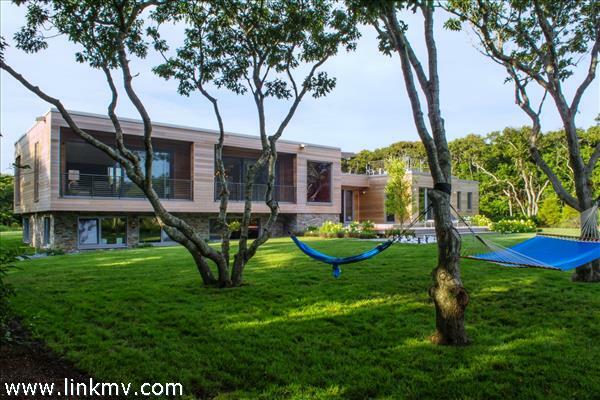 The property provides an incredibly rare sense of privacy and yet is conveniently located between downtown Edgartown and South Beach. 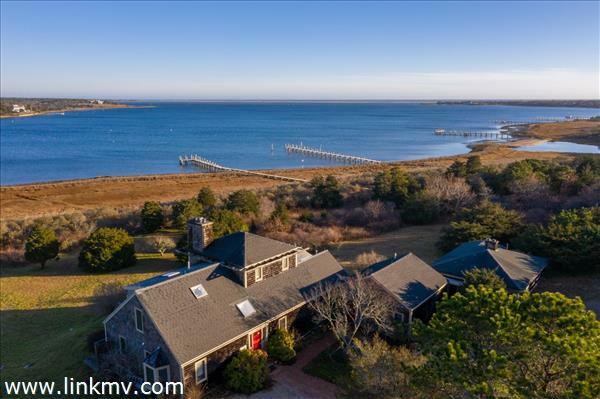 The property also includes a 180 +/- feet deep-water dock, which has a classic harbor beach cottage that could never be replicated. 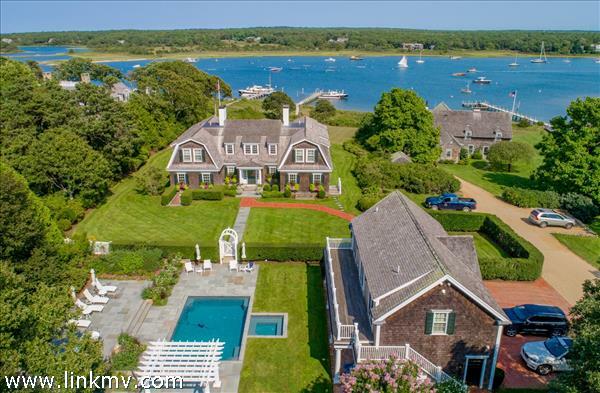 Landmark Edgartown Harbor Estate - One of the most important offerings in recent times. 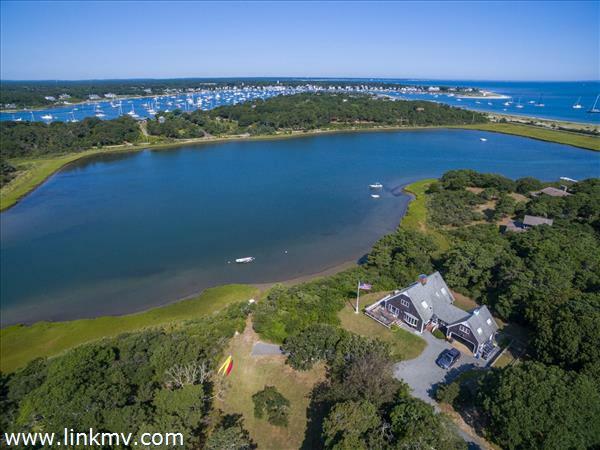 Eleven acres, over 300' of frontage, sandy private beach and deep water dock. 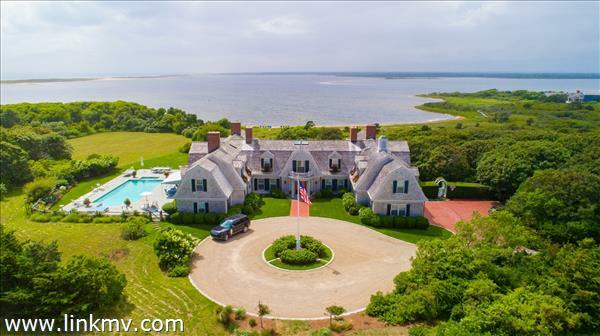 Two waterfront homes - the original grand dame, an early 1900's vintage Colonial with 9 bedrooms on three levels and the most commanding views of the harbor, lighthouse, Chappaquiddick and Nantucket Sound beyond and the second, a 1970's contemporary also with stunning views. 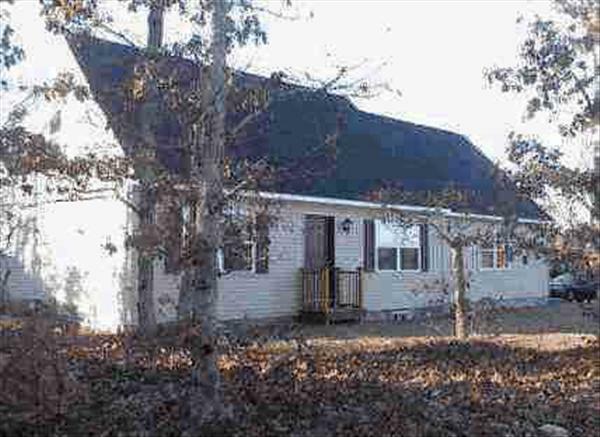 Set far from Katama Road down a long private drive yet is in the most prime location less than a mile to the village or even less by boat. 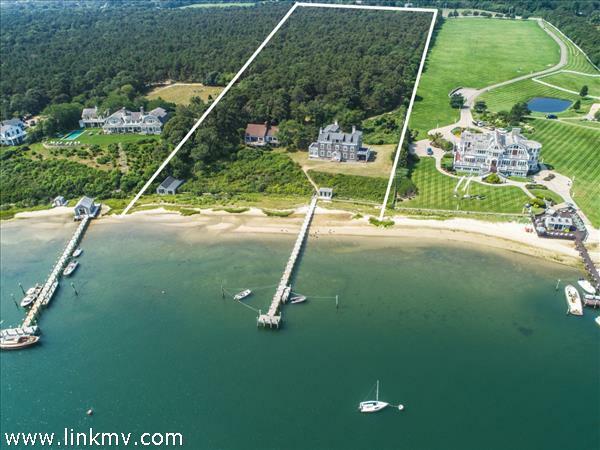 Lawn games overlooking the harbor and tennis tournaments on the private court may be an annual event. Other structures include a boathouse at the water's edge and a bathhouse just steps from the beach. 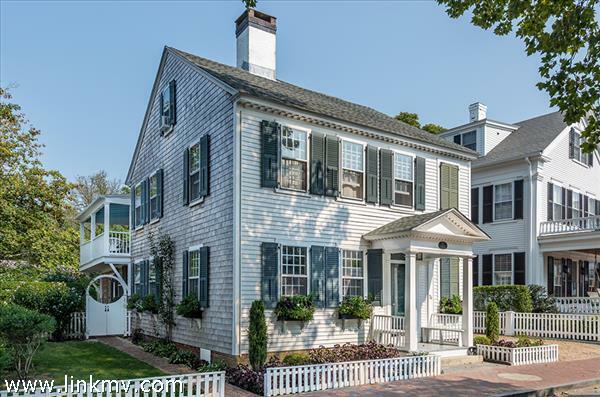 The property has been held in and treasured by the same family for generations and presents the next owners a number of options to create one of Edgartown's finest compounds. 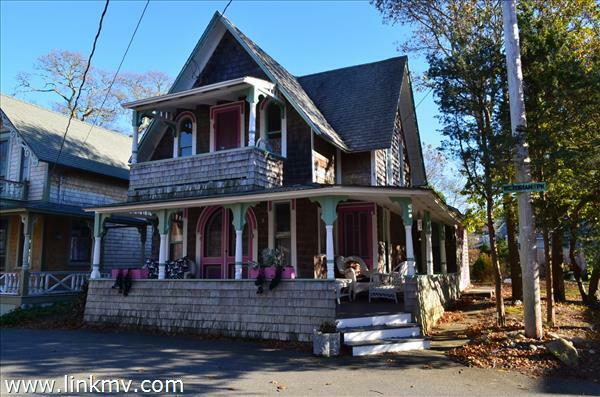 This Victorian style architecture studio suite with tile flooring, stove top, fridge, shower, bathroom, insulated, mini split heat and AC, and water views of Nantucket Sound is located in the heart of Oak Bluffs. 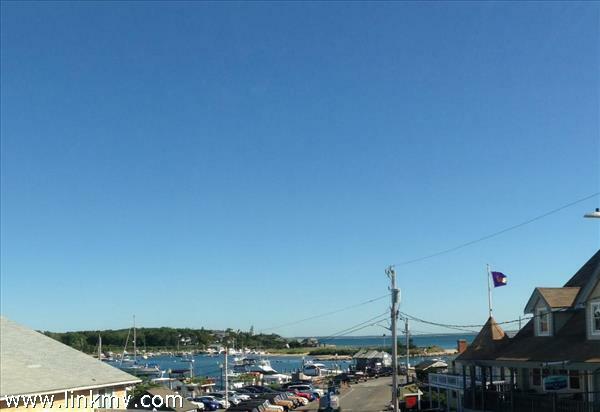 Walk to the Steamship authority, beaches, restaurants and or your private boat at the harbor. Property can be used as an office/retail space. Currently being used as a residential rental. 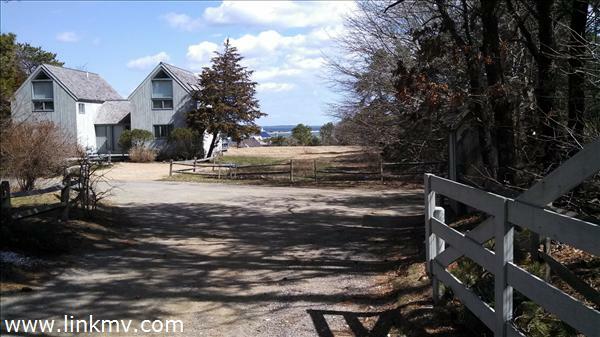 Also for sale is above unit with more water views of Oak Bluffs Harbor. Package 2 separate condos for a price of $599,000. At the present time, we can only show the condo unit on Saturday and Sunday. 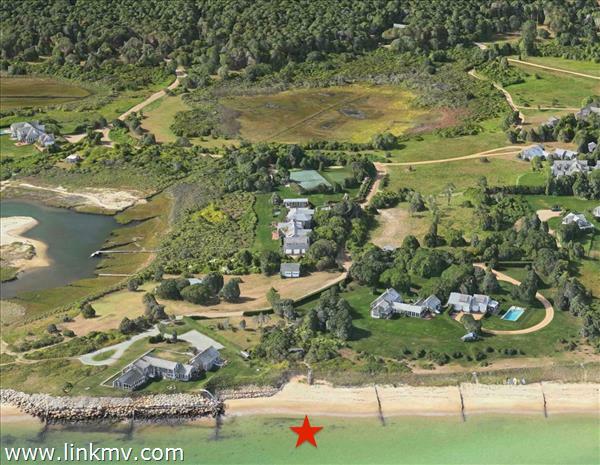 No question that this property is the most affordable, turnkey, WATERVIEW property on the Vineyard. Everyone will be talking about how this one got away. 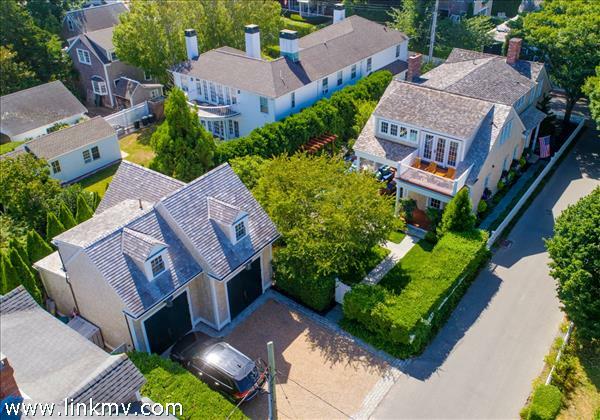 Perched up high overlooking Oak Bluffs Harbor, the ferry boats and all the action.This Victorian style architecture studio suite with wood and tile flooring, stove top, fridge, shower, bathroom and water views of Nantucket Sound, O.B. Harbor, and Sunset Lake is located in the heart of Town. Walk to the Steamship authority, beaches, restaurants and or your private boat at the harbor. Also for sale is another unit with a Penthouse. Property can be used as an office/retail space. Currently being used as a residential rental. Package 2 separate condos as a price of $599,000. At the present time, we can only show condo unit on Saturday and Sunday. 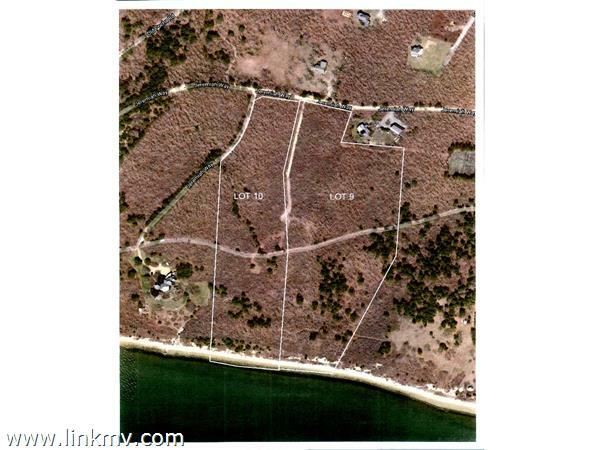 Terrific opportunity to build your dream home. 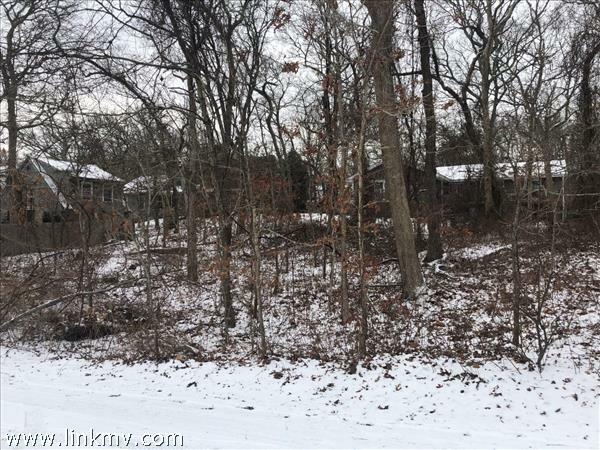 Private and level, this 1.39 acre parcel with mature trees is ready for development. Plenty of room for substantial main residence, guest house (5 years after the existence of the main house), pool and more! 8 Bedroom septic plan and approval is in process. 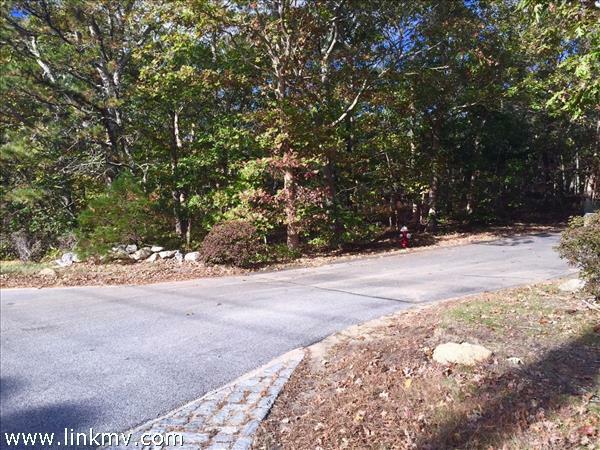 A great location right off the bike path and super convenient to all down island towns. Oak Bluffs in the VILLAGE! 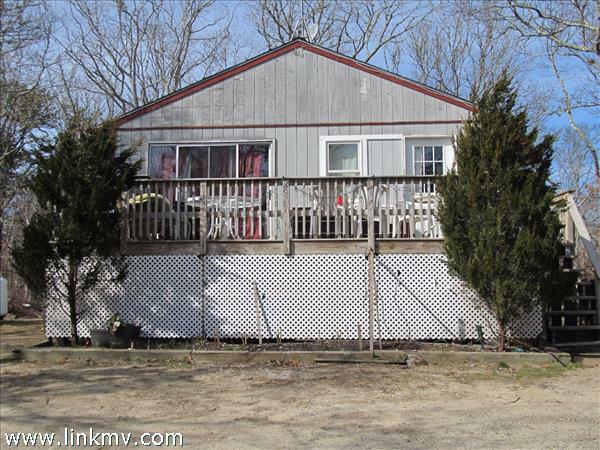 Located on Trinity Park~ is this CHARMING Year Round Campground Cottage in HISTORIC MARTHA'S VINEYARD CAMP MEETING ASSOCIATION. Open spacious living area with high painted ceilings, 2 bedrooms one bedroom area is " loft style" with wood floors! Enjoy all the wonderful tabernacle events front your porch overlooking large lawn on Trinity Park and The Tabernacle. Onsite parking outside the back door. Oil forced hot water and a newer hot water heater, cottage is fully insulated. Only a short walk to Circuit Avenue, beaches and ferry ports! VACANT EASY TO SHOW!! Excellent location for an in home business. 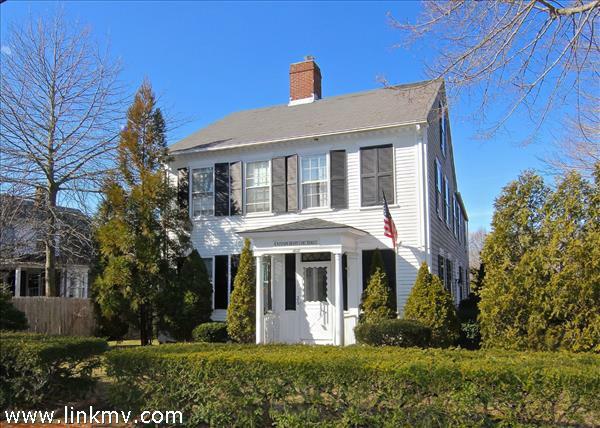 Cape style home in good condition within walking distance to Farm Neck Golf Coarse and the elementary school. Easy access to bike path and close to Town. 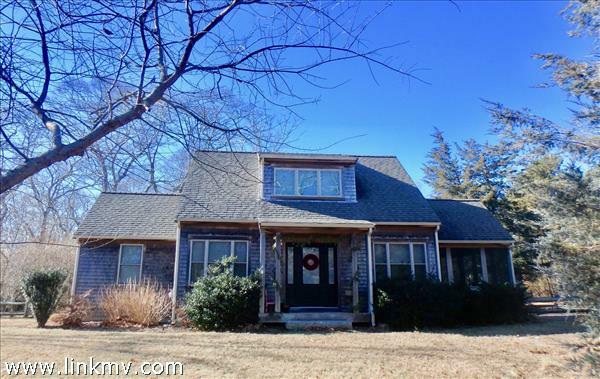 This home features first floor bedroom and full bathroom, mahogany deck, thermal pane windows,heated two car garage, Gas Heat, Central Air Conditioning, Central Vacuum System, full basement and a great room/media room. Home is also equipped with home back-up generator(Generex Guardian Plus 12,000 kw). Please see comments for Seller Terms. 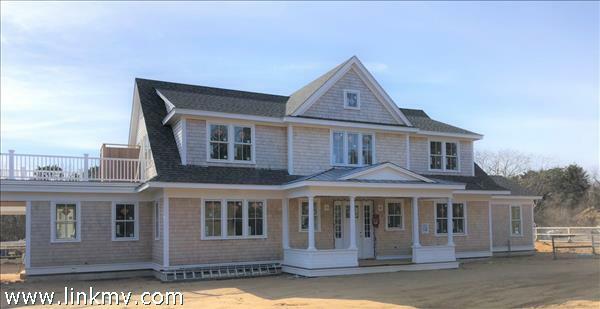 Commercial condo located in the heart of the OAK BLUFFS business center. Tired of paying rent for your office space? This B1 Zoned first floor condo unit centrally located with plenty of foot traffic. Ideal for a retail shop, day spa, hair salon, or ultra convenient office space. 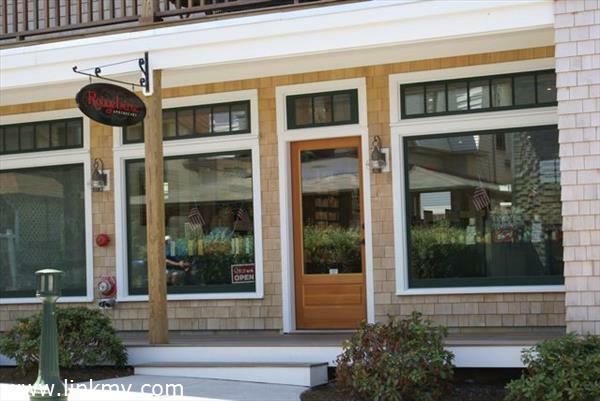 Just steps to other commercial businesses, restaurants and the hustle and bustle of downtown Oak Bluffs. It's easy to be creative in this inviting space featuring 10 foot ceilings, large attractive front windows offering high visibility. Custom cherry wood shelving and display tables, oak flooring, accent lighting, and a Bose sound system enhance this space and create an upscale retail atmosphere. Off the main room you'll find a small private office and 1/2 bath. A 300 square foot additional room is located in the basement with security camera in place (included in the square footage.) A loading zone is located in front of building. RARE OFFERING in the Martha's Vineyard Camp Meeting Association! 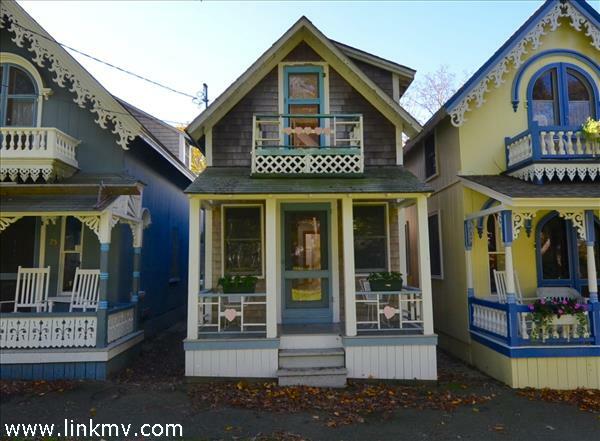 This beautiful Victorian Gingerbread Cottage is SPACIOUS and BRIGHT with an ABUNDANCE of SPACE and PARKING! 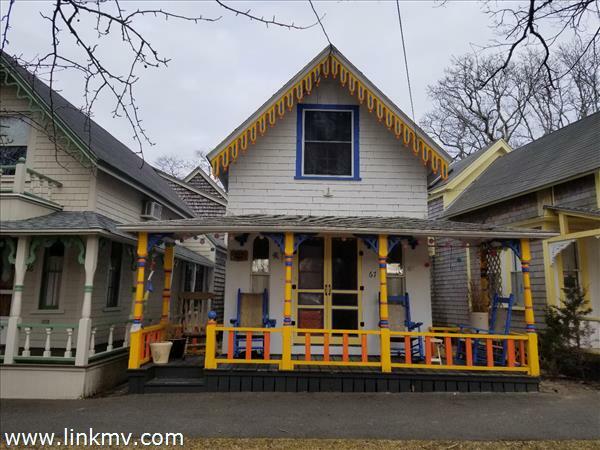 Terrific location a block to Circuit Avenue easy stroll to public beaches, shopping and dining on a famous Circuit Avenue, Oak Bluffs Harbor, ferry ports and all the Oak Bluffs Town Parks! 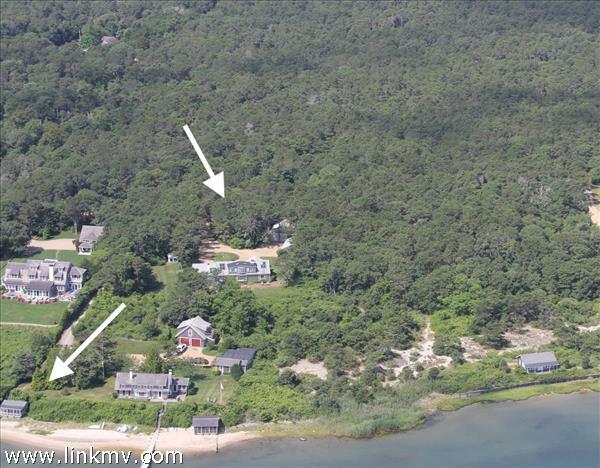 Classic Camp Ground Cottage located a in quiet section of the Martha's Vineyard Camp-Meeting Association has all of its original charm and character. Relaxing front porch looking out on Victorian Park, living room, dining room, kitchen, full bathroom and bedroom on the first floor. Upstairs are three more ample bedrooms. Private backyard with landscaping a storage shed and on site parking. Unique opportunity!EASY to SHOW! You will love this MAGICAL SETTING! ON -SITE PARKING for 2+ CARS ! 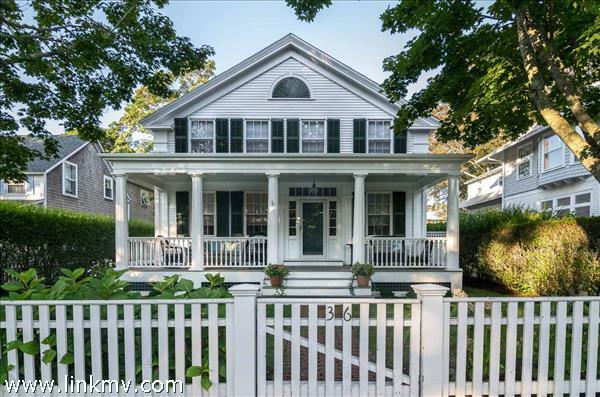 This charming Cape Style home is sun-filled and delightful. The open living spaces include a modern kitchen with granite counters, center island, living and dining room. There is screened in porch for additional summer living space and a den for TV. The second floor includes a spacious bedroom with cathedral ceiling and full bath. many custom built-ins, wood floors throughout and baths are tiled. The finished basement offers additional living space for a family room, an office and separate laundry. Propane FHA, Central AC. Nicely landscaped yard with in-ground sprinkler, outside shower and detached shed for storage. Centrally located to town and beaches.